Nespresso and its non-profit development partner TechnoServe have announced a new partnership with the United States Agency for International Development (USAID) to support its efforts to rebuild the coffee industry in South Sudan. USAID will invest US$3.18 million over the next three years to assist Nespresso and TechnoServe to help raise farmers’ incomes and expand export markets. 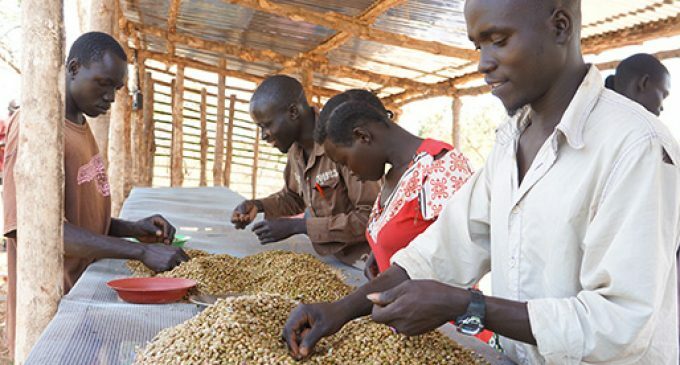 Nespresso and TechnoServe have been working with local farmers in South Sudan since 2011 to revive high-quality coffee production after the local coffee industry was decimated by years of civil war. So far more than 700 farmers have received technical assistance and training in sustainable farming methods through the Nespresso AAA Sustainable Quality™ Program. As part of our Nestlé in Society Creating Shared Value commitments, the program will have trained 1500 South Sudanese farmers by 2019, 25 percent of whom will be women.